Here we break down chronic kidney disease and explain the do's and dont's for those who have it. Western Nephrology partners with American Renal Associates and DaVita as medical directors and attending physicians at many regional dialysis clinics as well as a home dialysis program that provides for both home hemodialysis and peritoneal dialysis. 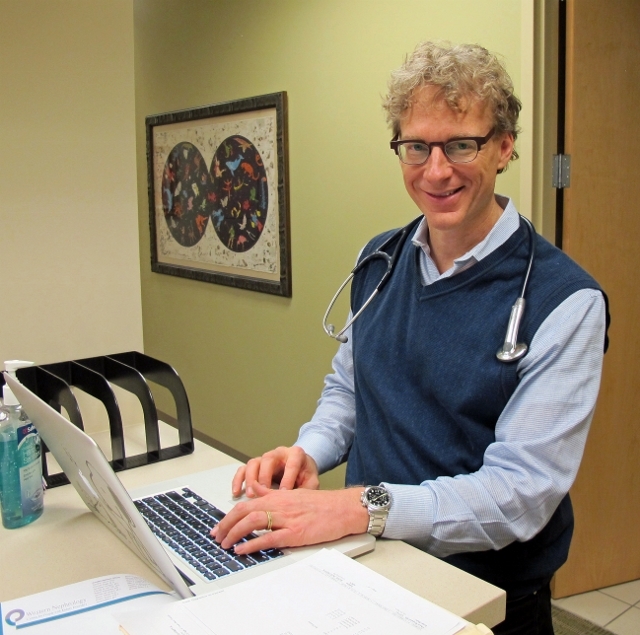 The practice currently includes board certified nephrologists in clinics in Arvada, Boulder, Dacono, Lafayette, Lakewood, Longmont, Highlands Ranch, and Westminster. Our Research Departments are housed in our Arvada and Westminster offices. Western Nephrology began practice in 1968 serving Lutheran Medical Center and St. Anthony Central Hospital. In 1973 the practice expanded to provide both inpatient and outpatient dialysis services to the West Denver Metropolitan Region. Over the next 40 years outpatient dialysis centers were developed in Arvada, Boulder, Brighton, Lafayette, Lakewood, Longmont, Thornton, Westminster and Wheat Ridge. In addition, inpatient dialysis services were expanded to cover many hospitals and rehabilitation hospitals in the West and North West Denver Metropolitan Region. Currently Western Nephrology provides consultative services to Avista Hospital, Boulder Community Hospital, Colorado Acute Hospital, Exempla Good Samaritan Hospital, Exempla Lutheran Hospital, Longmont United Hospital, North Suburban Hospital, St. Anthony Hospital, St. Anthony North Hospital and Vibra Hospital.